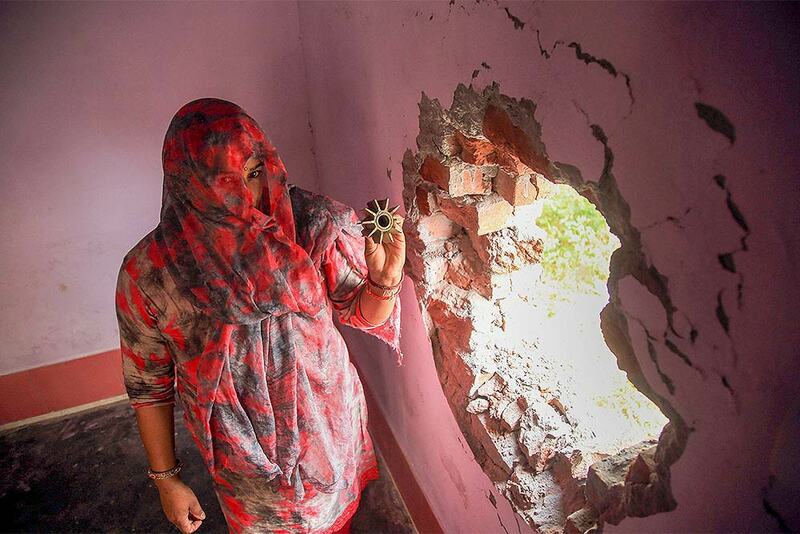 A woman shows an empty mortar shell that damaged her house after an alleged shelling from the Pakistani side of border at Pargwal sector of Akhnoor, about 50 km from Jammu. 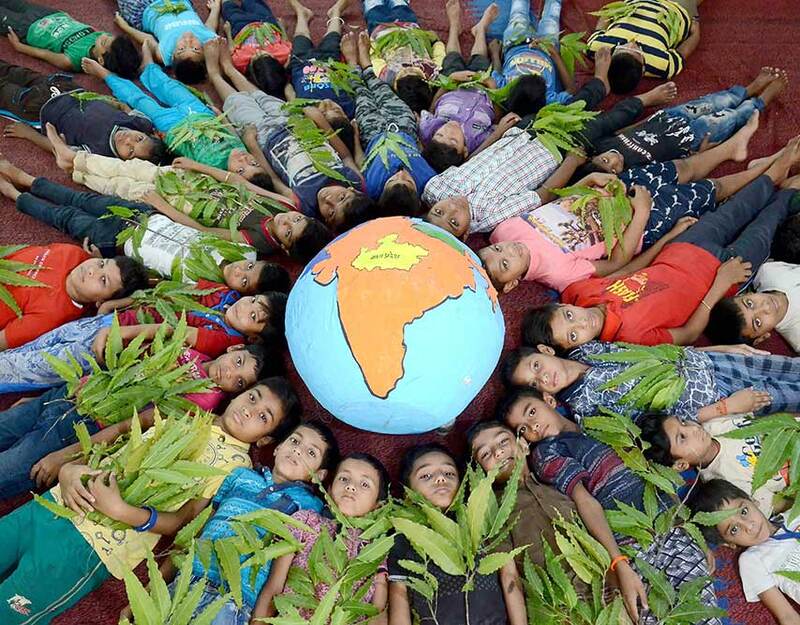 Children participate in an awareness programme ahead of World Environment Day, in Jabalpur. This year's Environment Day theme is 'Beat Plastic Pollution'. 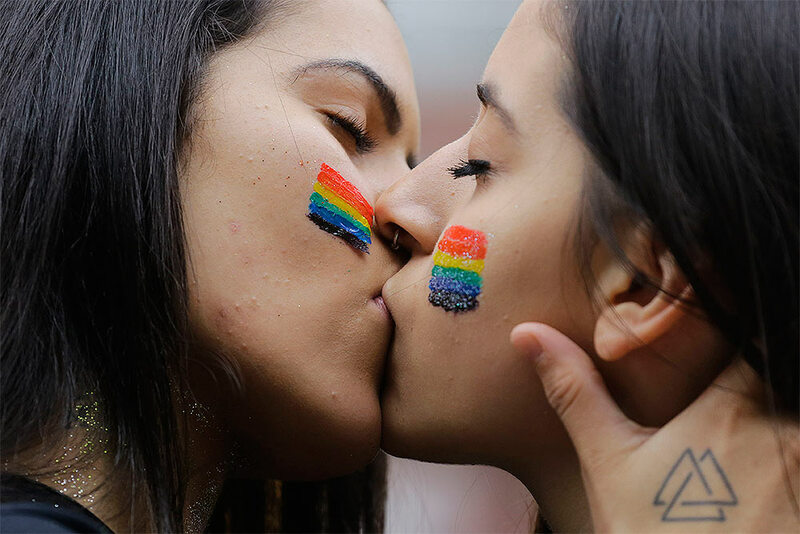 Revelers kiss during the annual gay pride parade in Sao Paulo, Brazil. 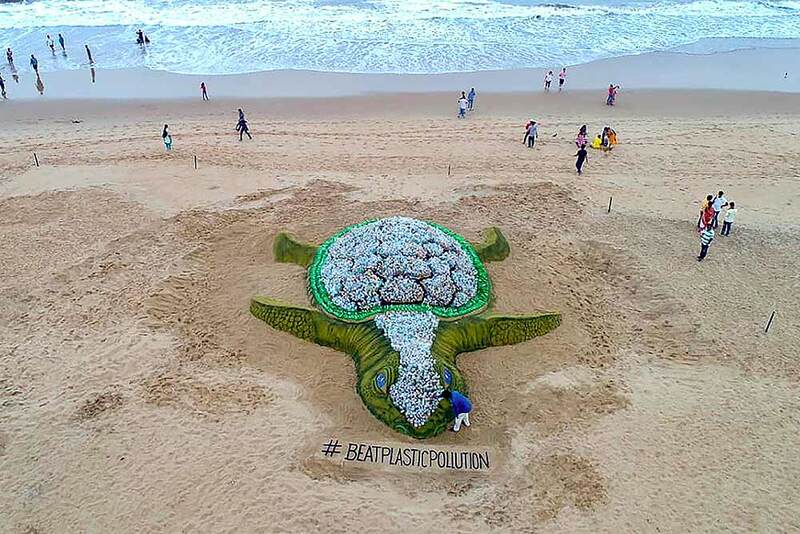 A aerial view of 55 ft long 30ft wide sand sculpture created by sand artist Sudarshan Pattanaik ahead of 'World Environment Day' at Puri beach, in Odisha. 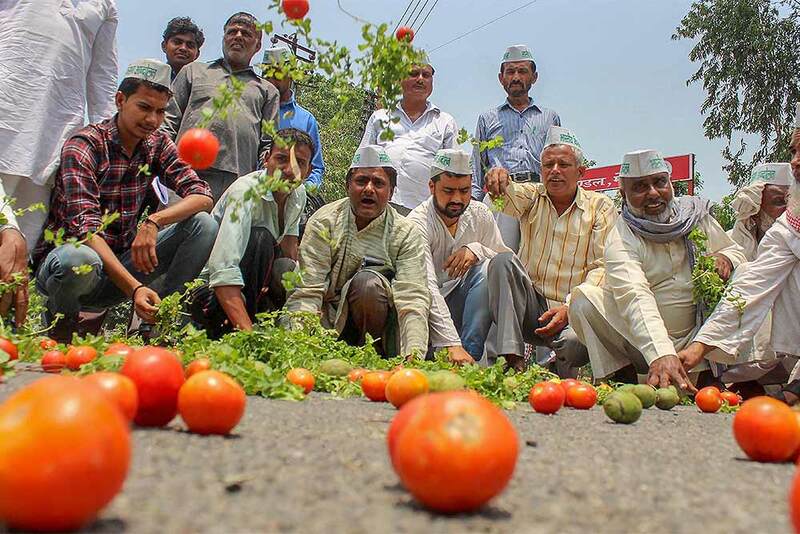 Bharatiya Kisan Andolan activists along with the farmers throw tomatoes on a road during a protest over various issues of the farmers including their loan waiver, in Meerut. 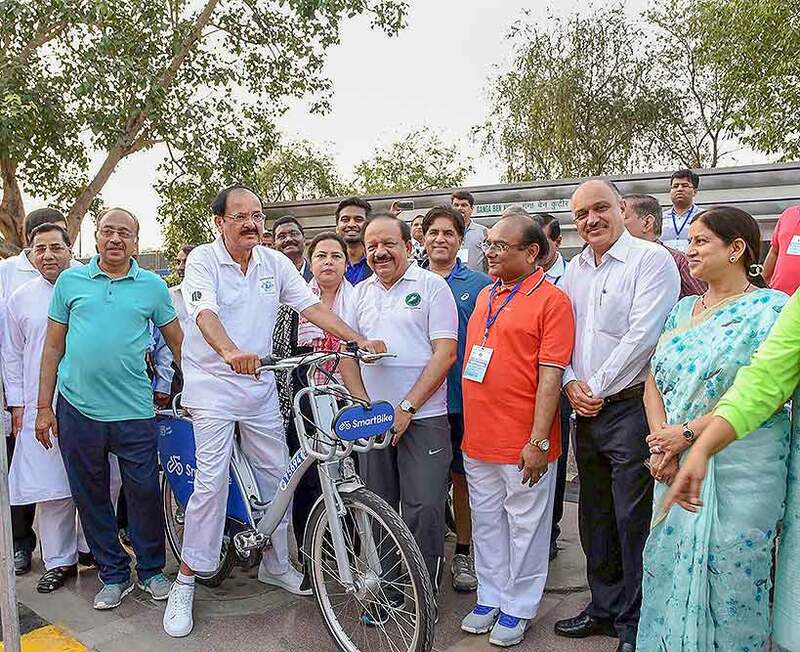 Vice President M. Venkaiah Naidu unveils the Smart Cycle on the occasion of World Bicycle Day 2018, in New Delhi. Union Minister for Science & Technology, Earth Sciences and Environment, Forest & Climate Change, Harsh Vardhan is also seen. 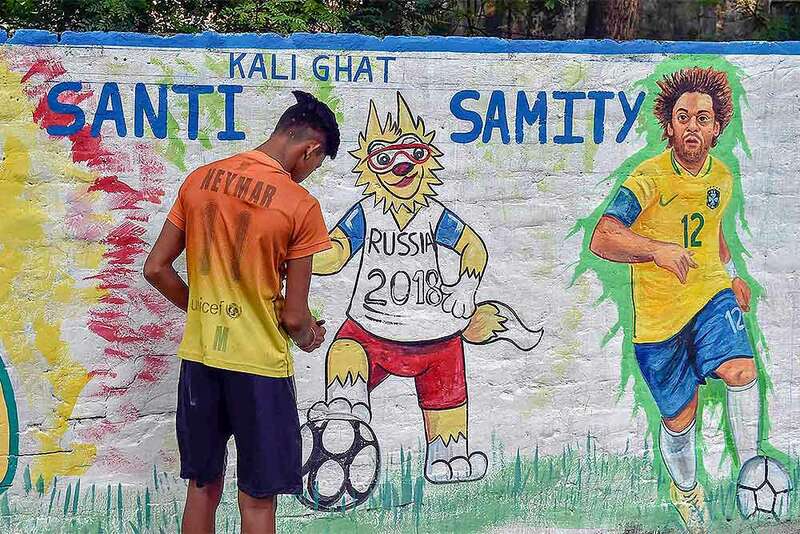 An artist busy in painting a wall in Kolkata ahead of FIFA World Cup 2018. Village women and girls collect drinking water from an almost dried up well in Samba district, some 40 km from Jammu.